Hey lovelies, I am back again with my latest experiment with fashion. 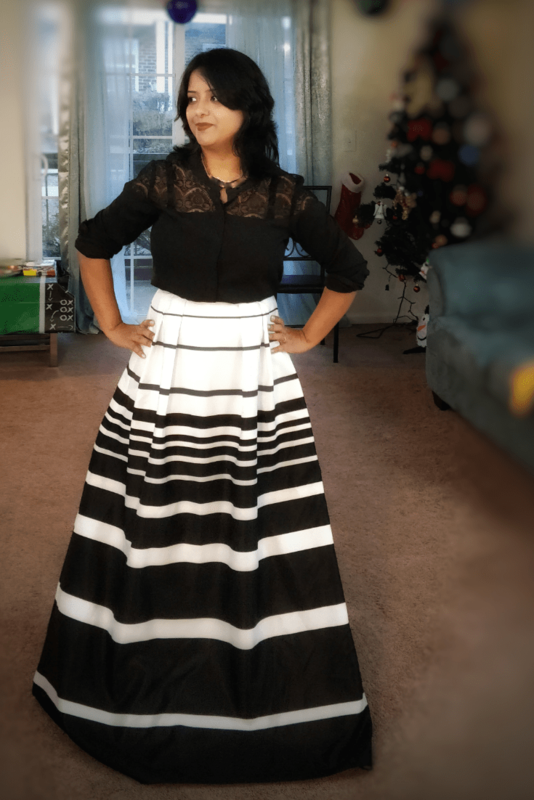 This post is going to be my take on how to wear a maxi skirt in Bollywood style. 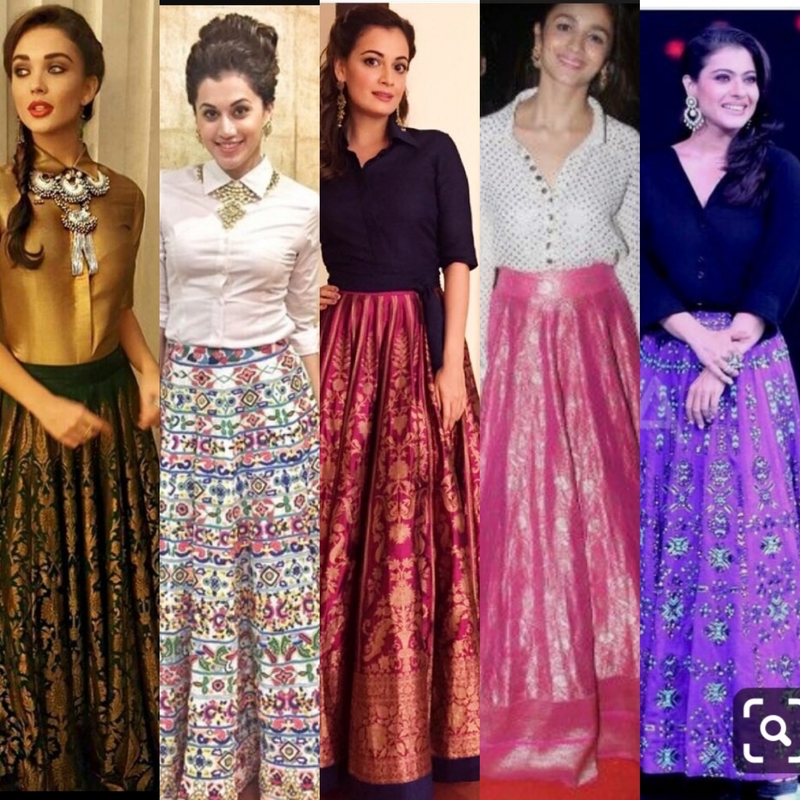 Anushka Sharma first introduced the trend of wearing a Maxi skirt or rather a lehenga skirt with the shirt in the Bollywood movie “Ae Dil Hai Muskil”.Since then a new trend in the name of ShirtLehenga is born. It is equally popular among the Bollywood divas and their followers. I would say I have seen most of the current actresses to adorn this combination at least once if not more. And why not as it creates such an excellent fusion of Indo western. I don’t think I am going to be the last one to join the bandwagon as this trend is going to stay for some more time. So let’s dive into the details of Bollywood inspired look I created to attend an evening cocktail party recently. When it comes to how to wear a maxi skirt, the first thing that comes to mind is what to wear with it. 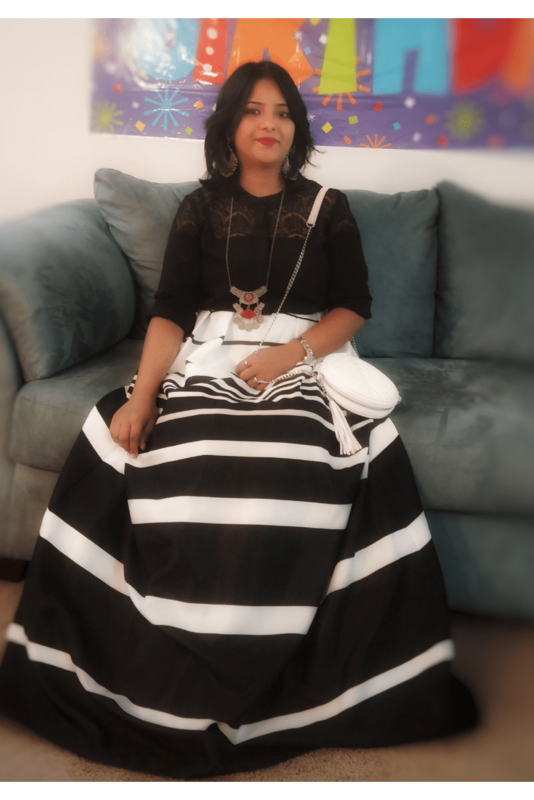 A maxi skirt or Lehenga skirt is best paired with a silk or satin shirt to give it a chic glamorous look. If you check the way these are styled by the Bollywood divas, one thing would be common. That is pairing them with a satin or silk shirt. When I bought this absolutely stunning skirt from Amazon, it came as a set with a black crop top. I am not saying that the original pairing is not good. I loved it and that’s why I bought it in the first place. But I always try to experiment and mix n match my outfits to create different looks. Hence came the idea of ditching the crop top and pairing it with a black shirt to replicate the Bollywood inspired a look. As how to wear a maxi skirt in Bollywood style is decoded, now let’s focus on giving the look finishing touch with some accessories. When it comes to pairing the perfect jewellery for your shirtlehenga look, you have ample options in hand. You just need to be little innovative. Also choosing the right one depends on the occasion too. If it is for some Mehendi or any other Indian wedding function, you can easily pair them with some heavy Kundan jewellery. If it is for some cocktail party just like mine, you can go for some Afghan jewellery which are really really popular nowadays. If it is for some after office parties you can simply ditch the jewellery. Just wear a nice watch and you are good to go. With your choice of jewellery, you can easily dress it up or down. 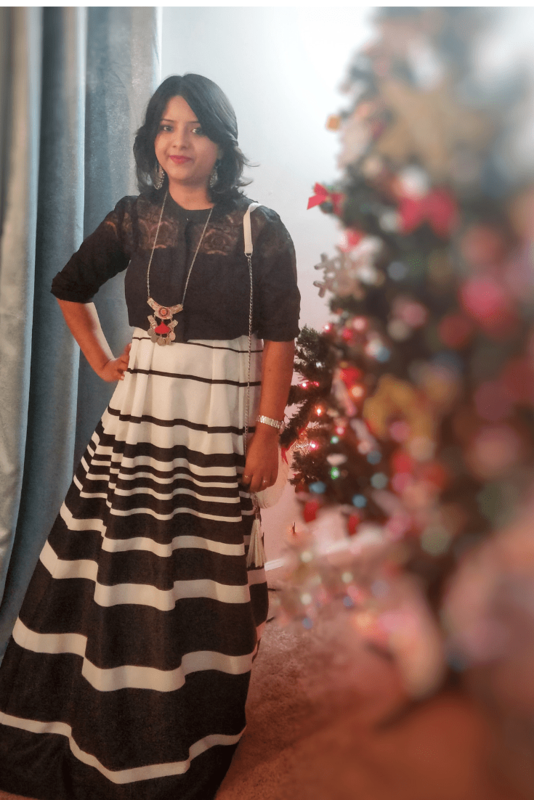 Finally, I matched the outfit with my current favourite cute little white sling purse from Shein and voila. I am ready. So that’s the way I twisted my maxi skirt and crop top and gave it a totally different look. Hope you like it. Wow..I like ur skirt .nice idea for winter parties it’s perfect…. Love 💕 the outfit . Never seen this before. Definitely buy one. Awesome 👌It looks great on you . Nice, I am Sri Lankan and Im going to try this !! Definitely gonna try this look! What a great way to add culture to fashion. A maxi skirt worn with a dare aesthetic is a great idea. Such a great blog post!! Love taking this cultural staple and making it mainstream! !